Would you buy these £1,300 ‘designer’ heels ? Three pairs will be sold for £1,300 shoes each, with proceeds going to the Prostate Cancer Charity. 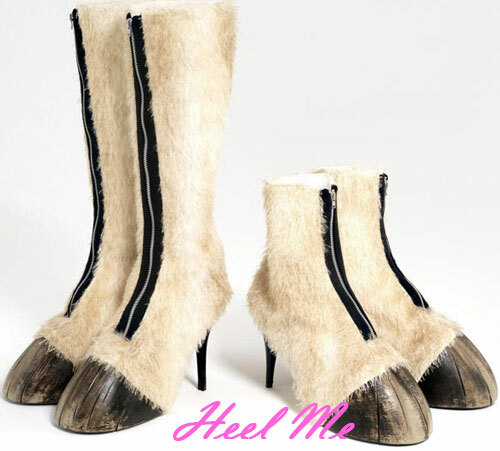 A carbon-fibre hoof and up to 5,000 individual horse hairs make up the £1,300 shoes which were created by a team of fashion designers.